Specifications are provided for reference and are based on printer tests using Zebra® brand ribbons and labels. Results may vary in actual application settings or when using other than recommended Zebra supplies. Zebra recommends always qualifying any application with thorough testing. 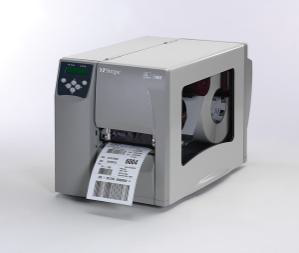 today’s enterprise systems for bar code label printing. general wear & tear and facilitates media loading.